Hey Team ELITE! We are at the halfway point for April. How are you doing with your April goals? At this point, you're either on track ... or falling behind. DON'T GET STRESSED OUT! AND DON'T GIVE UP! 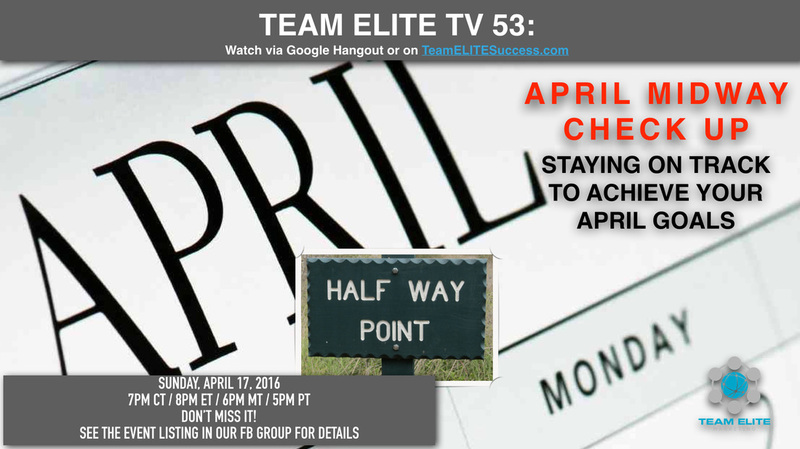 On this episode, we'll show you how to achieve your April Goals .... even if you've fallen behind!